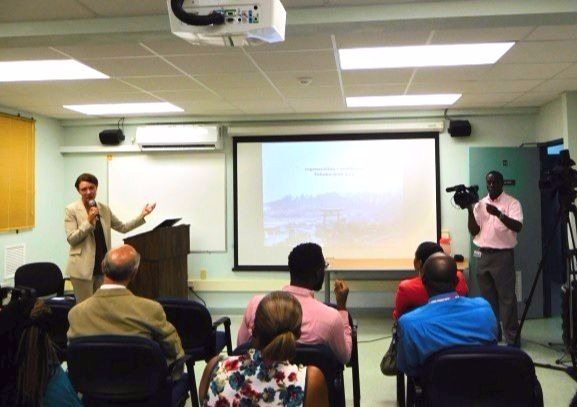 An environmental seminar and associated workshops were held at the Cave Hill campus of the University of the West Indies, Barbados, on September 18th and 19th, 2017. 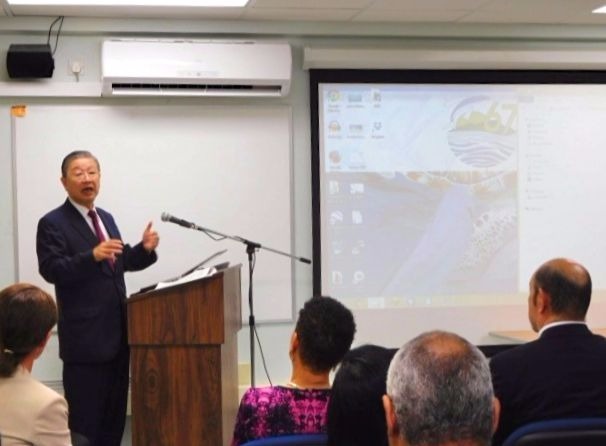 Since APIC and Sophia University held a joint seminar titled “The Environmental Conservation Symposium of the Pacific Region” in July 2015, similar seminars have been held in Palau (August 2015), Jamaica (October 2016), and the Marshall Islands (March 2017). This seminar in Barbados will be the second seminar to be held in the Caribbean region. Environmental Studies Professor Anne McDonald of Sophia University will be lecturing this time as well. A panel discussion titled “The Role of Research Partnerships in Promoting Sustainable Development” took place in the morning of the first day of the symposium. Presentations were given on current problems that Barbados and the Caribbean region are facing, such as the reason for invasion of sargassum (a type of seaweed) and preventative measures, biodiversity protection in the Central-American Caribbean region, and the fishing industry in the Caribbean. Professor McDonald commented at the end of each presentation, creating a lively discussion atmosphere. The following day the environmental seminar took place, which the president of the University of the West Indies, President Barritteau also attended (Please click here for information on University of the West Indies Cave Hill President Invitation Program, June 2017). After President Barritteau, Ambassador Shinada, and APIC trustee Mr. Shimanouchi gave their opening speeches, Professor McDonald delivered the keynote speech titled “Lessons from the Field: Exploring Culturally and Environmentally Relevant Solutions to Increasing Environmental Challenges of Climate and Biodiversity Loss”. She discussed the results of the Japanese coastal fishing industry’s survey along with their approach to solving environmental problems. The attendees appeared to be very impressed with the solutions, with comments such as “the Caribbean nations are facing the same problems, so this talk was a good stimulus for us”. This seminar was the first time where Japanese and Barbadian researchers and experts gathered together to share their knowledge. 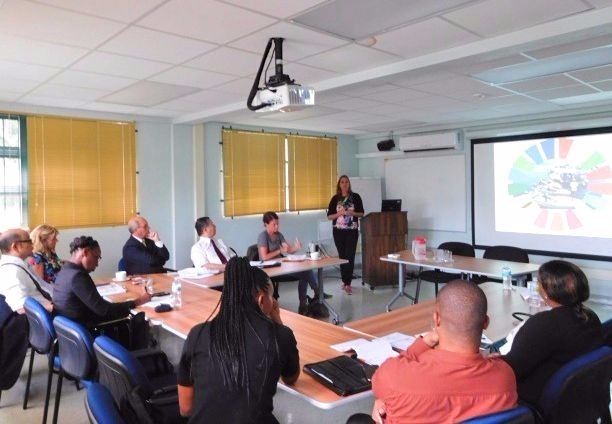 Approximately 20 people participated in the seminar, including UWI Cave Hill Campus’s the Center for Resource Management and Environmental Studies (CERMES), related Barbadian organizations, and government representatives. 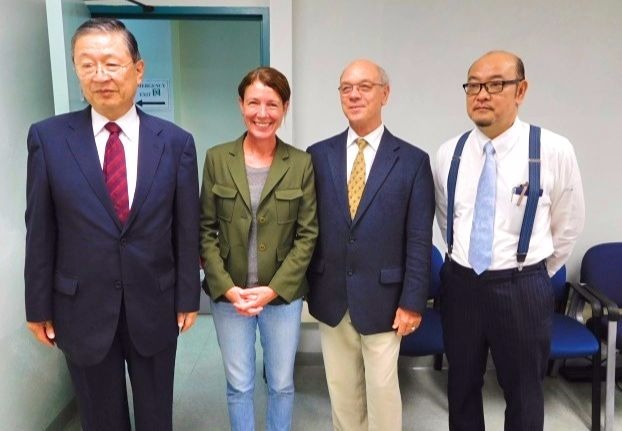 The major daily newspaper in Barbados reported extensively on the event, spreading news about the efforts between Japan and Barbados regarding environmental preservation.